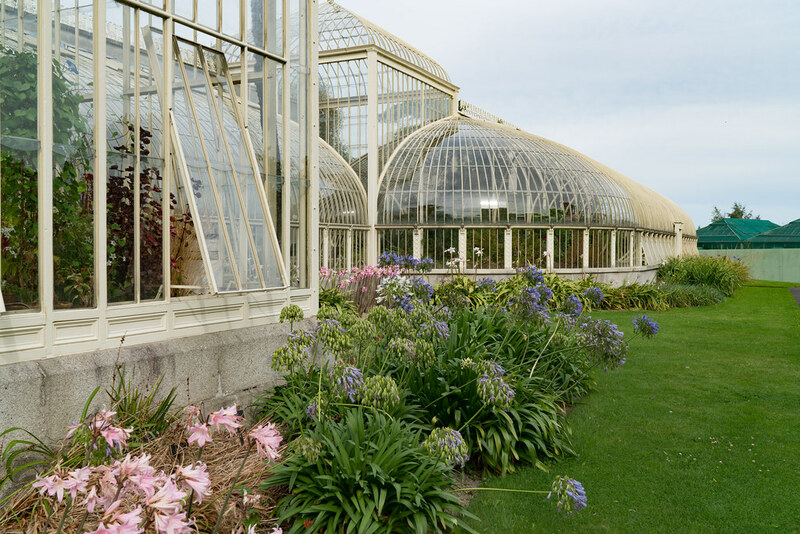 The gardens include some glasshouses of architectural importance, such as the Palm House and the Curvilinear Range. 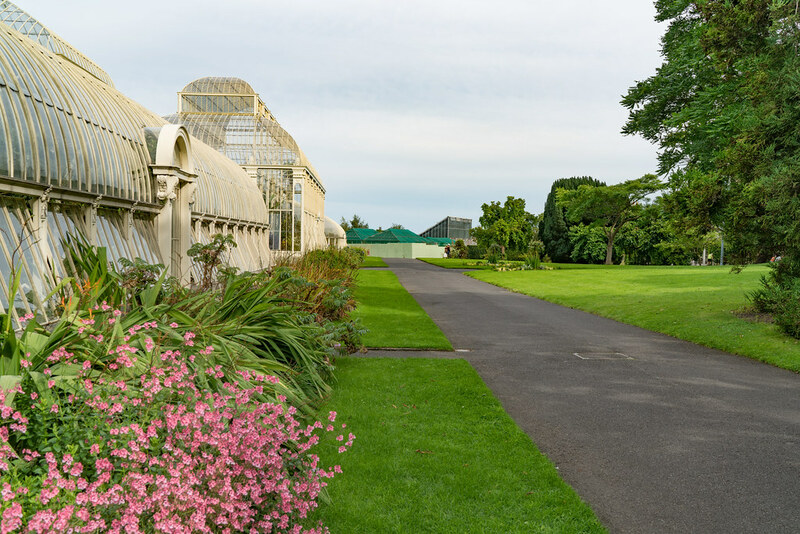 The Great Palm House is situated in the southern parts of the gardens, and is connected to the cactus house on its west side, and the orchid house on its east side. The main building measures 65 feet in height, 100 feet in length and 80 feet in width. 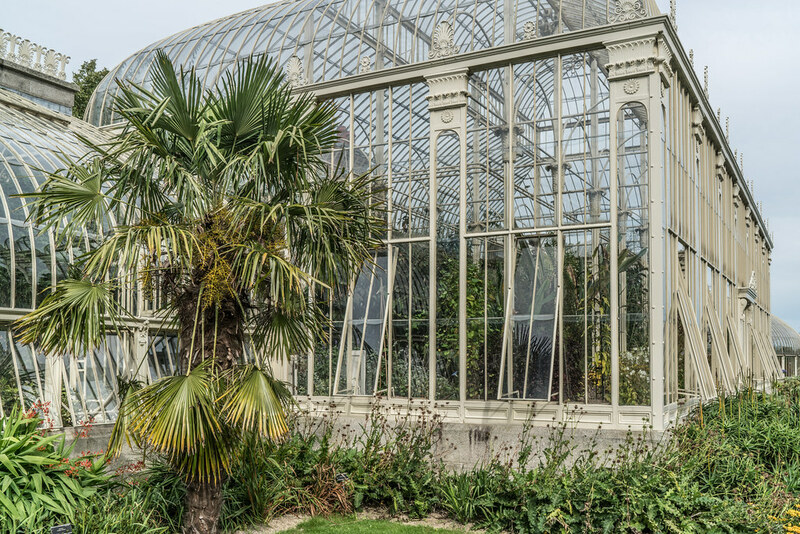 The Palm House was originally built in 1862 to accommodate the ever increasing collection of plants from tropical areas that demanded more and more protected growing conditions. 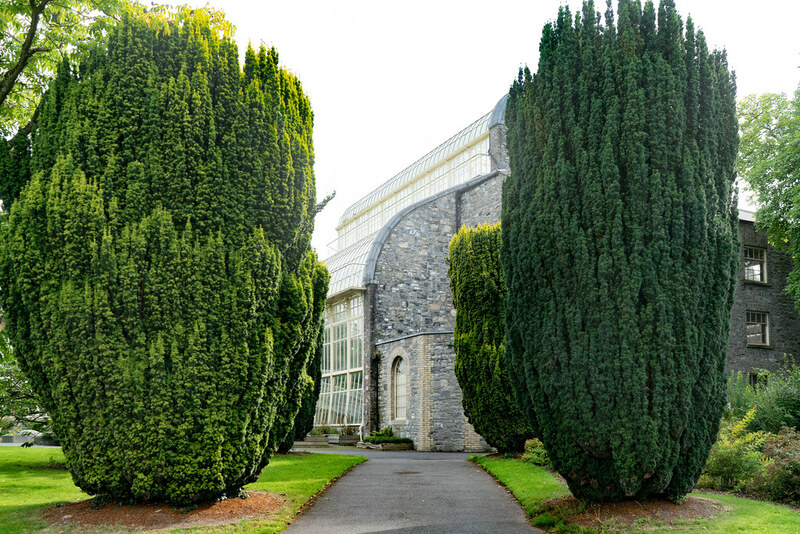 The construction was overseen by David Moore,the curator of the gardens at the time. The original structure was built of wood, and was unstable, leading to it being blown down by heavy gales in 1883, twenty one years later. 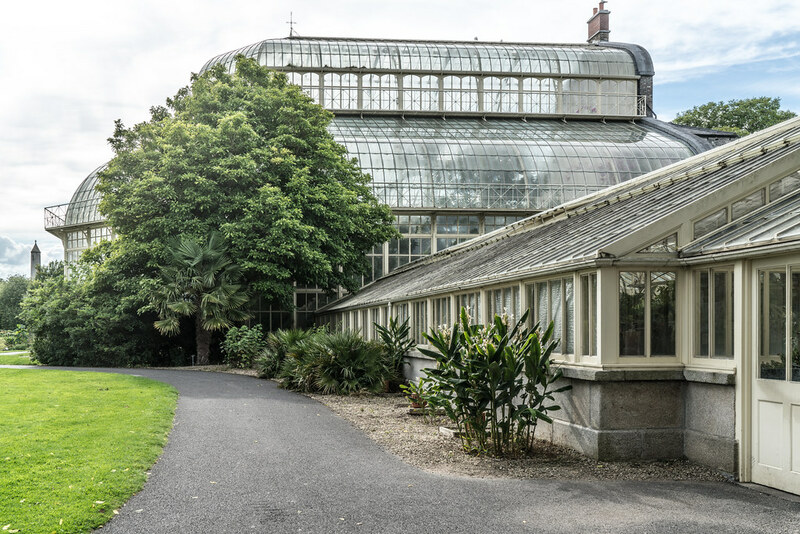 Richard Turner, the great Dublin ironmaster, had already supplied an iron house to Belfast Gardens and he persuaded the Royal Dublin Society that such a house would be a better investment than a wooden house, and by 1883 construction had begun on a stronger iron structure. Fabrication of the structure took place in Paisley, Scotland, and shipped to Ireland in sections. 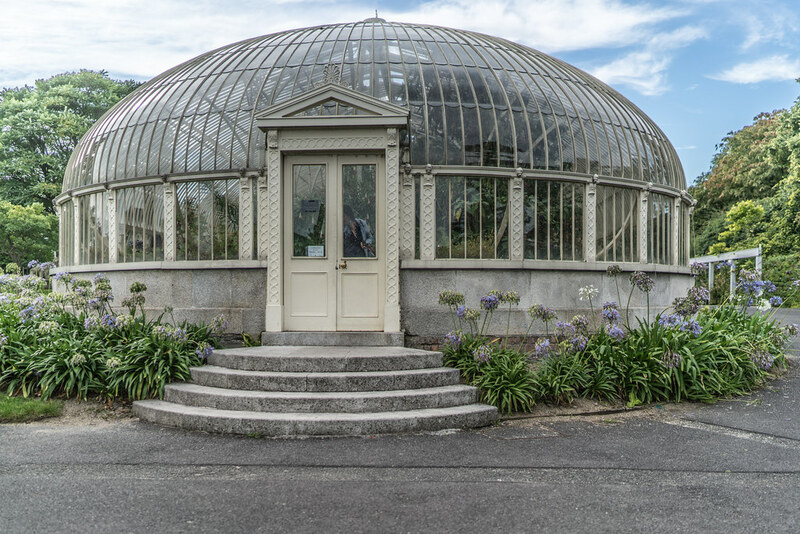 By the early 2000s, the Palm House had fallen into a state of disrepair. After more than 100 years, the wrought iron, cast iron and timber construction had seriously deteriorated. 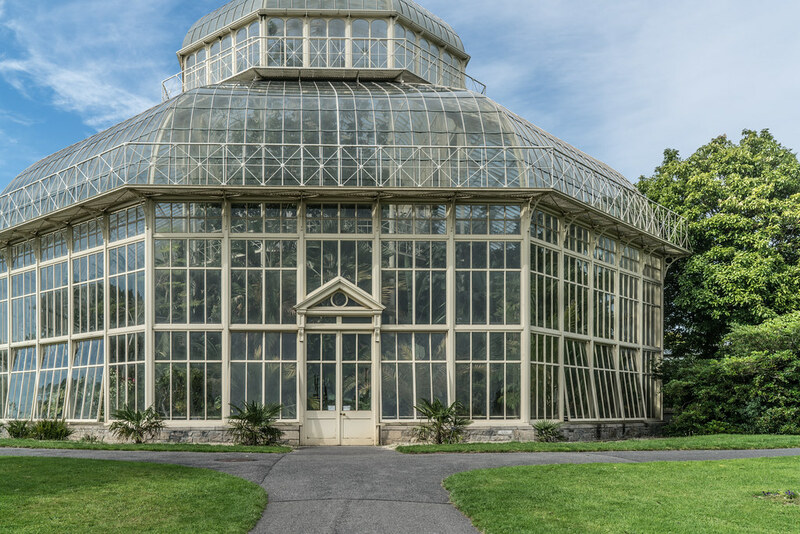 Prior to its restoration a large number of panes of glass were breaking each year due to the corrosion and instability of the structure. As part of the restoration the house was completely dismantled into more than 7,000 parts, tagged for repair and restoration off-site. 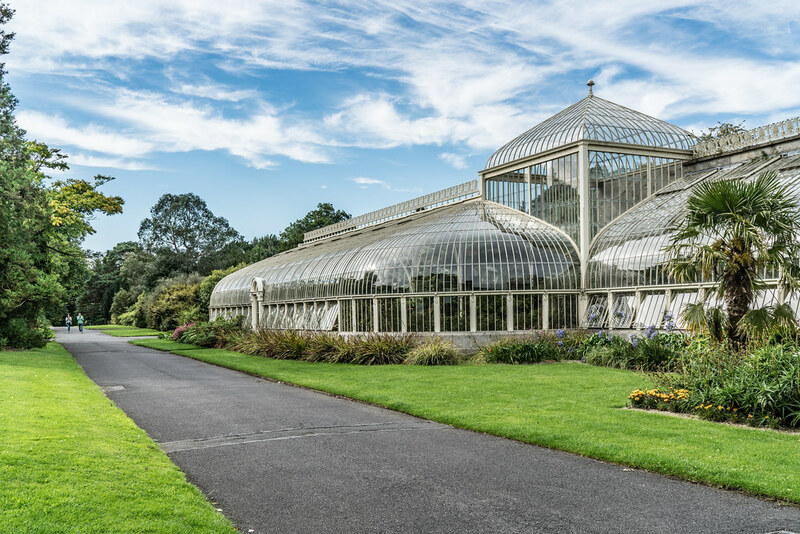 20 meter tall cast iron columns within the Great Palm House had seriously degraded and were replaced by new cast iron columns created in moulds of the originals. 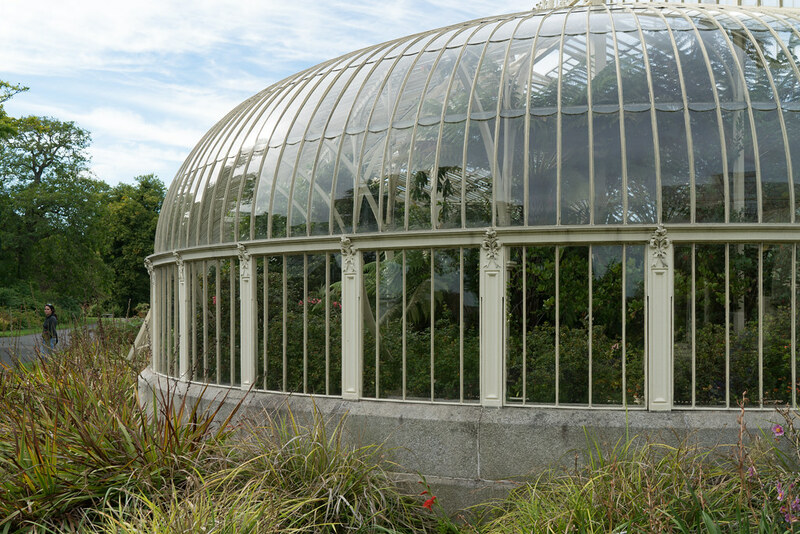 To protect the structure from further corrosion, new modern paint technology was used to develop long-term protection for the Palm House, providing protection from the perpetually tropical internal climate. 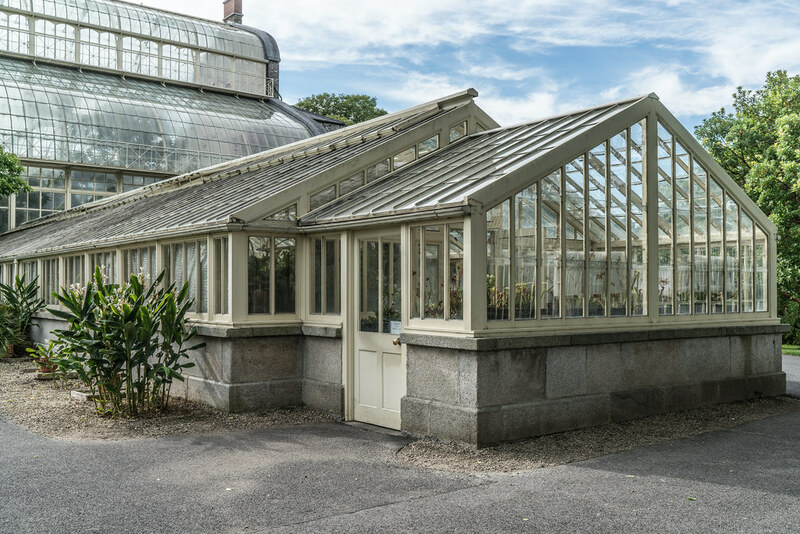 For Health and Safety reasons, overhead glass was laminated and vertical panes toughened, and specialised form of mastic was used to fix the panes, replacing original linseed oil putty that had contributed to the decay of the building over the century. 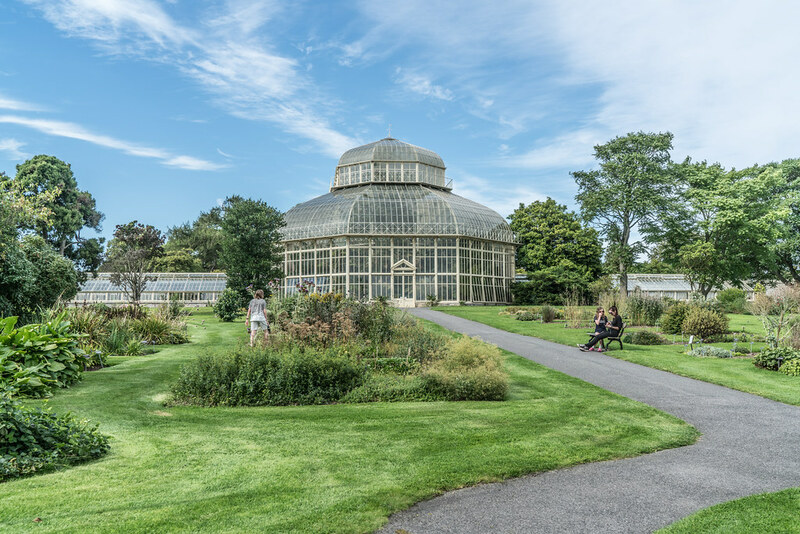 The Palm House was reopened in 2004 after a lengthy replanting programme following the restoration process. The Curvilinear Range was completed in 1848 by Richard Turner, and was extended in the late 1860s. 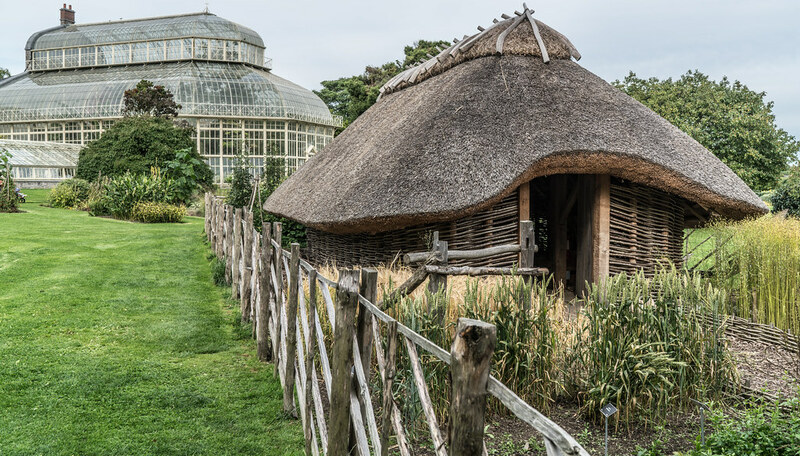 This structure, has also been restored (using some surplus contemporary structural ironwork from Kew Gardens) and this work attracted the Europa Nostra award for excellence in conservation architecture. 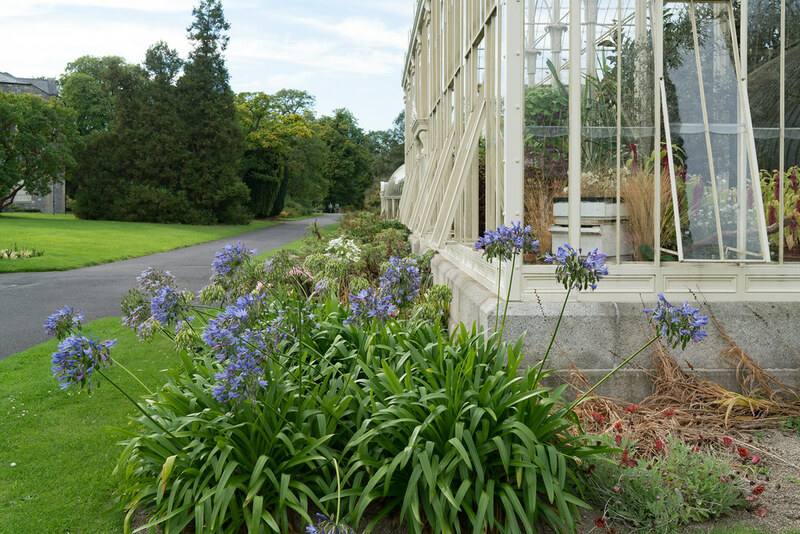 There is also a third range of glasshouses: the Aquatic House, the Fern House and the original Cactus House. Unfortunately, these structures were closed off in the early 2000s, and are currently undergoing restoration. 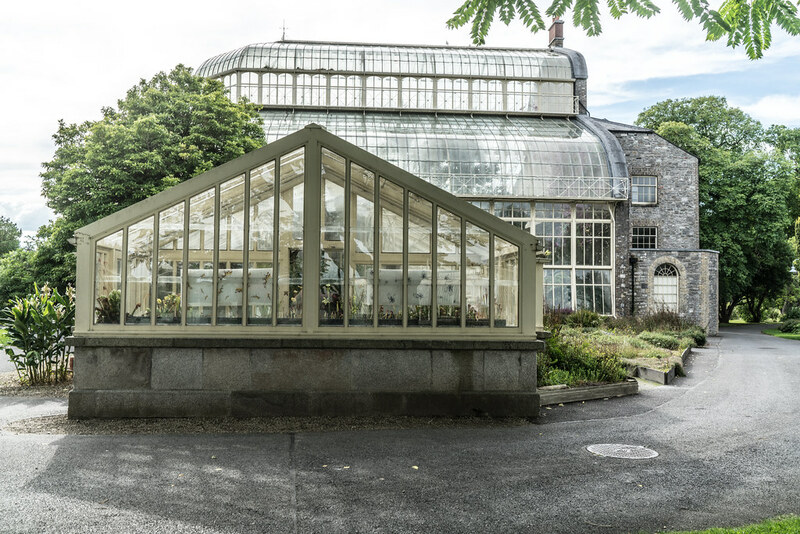 As these glasshouses were specialised in the plants they housed, many specimens such as the Giant Amazonian Water Lily have not been grown in the gardens since the closure of the structures.